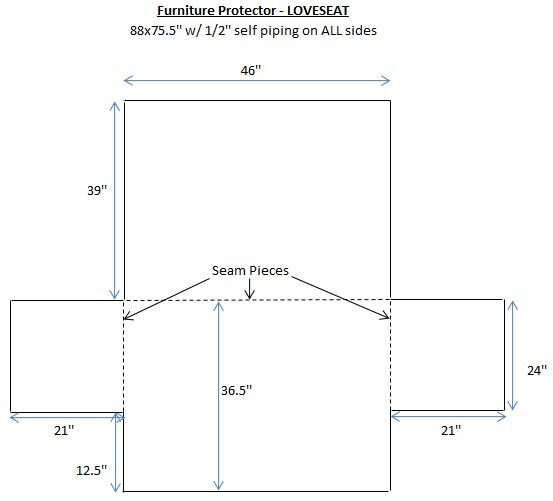 Our softest, coziest sherpa loveseat protector by OakRidge™ adds year-round comfort while protecting furniture. 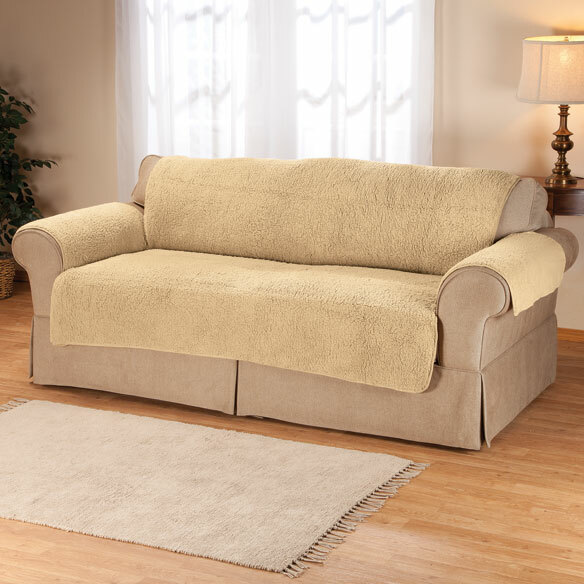 New premium-quality, one-piece loveseat cover is part of our exclusive OakRidge collection. 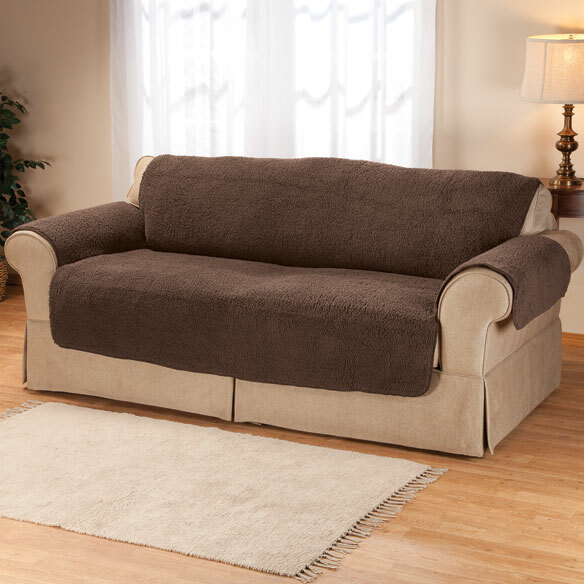 Sherpa sofa cover protects furniture from spills, stains and wear. Easy on/off design tucks in for a secure fit. Retains softness through years of washings and use. Machine washable for easy-care convenience; line dry. Seat 36 1/2" L x 46" W; back 39" L x 46" W.
This was the only camel color one I could find to match the recliners. It looked like a good cover that I need. We will see. Price is good. Colors are nice. Seems durable and washable. Our dogs have ruined some of my furniture. Temporary fix until I can replace the furniture piece. 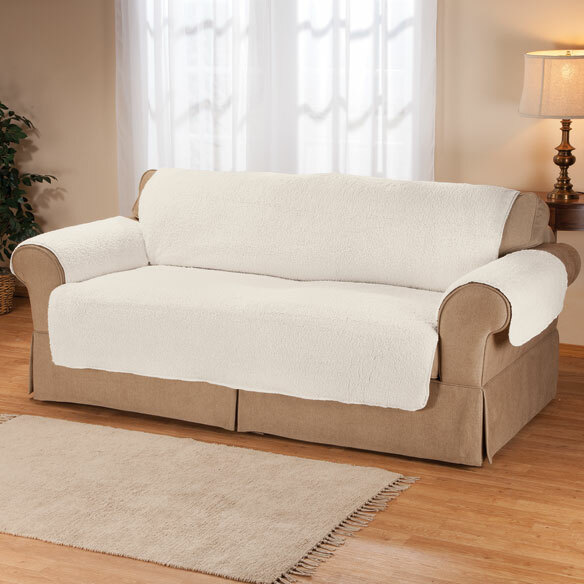 I chose this because Sherpa material is so soft and I needed protection on my couch and loveseat! 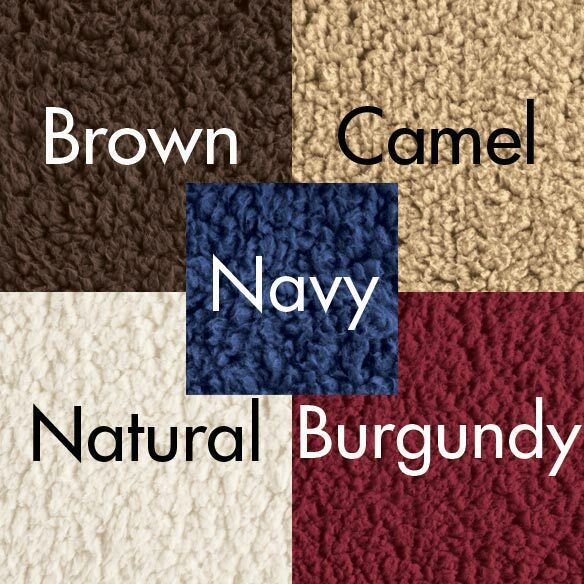 And it comes in burgundy that will hopefully be close to my furnitures color! Warm and cozy for the cold winter months ahead. I have pets, and I think this will save my furniture. These will be very comfortable in my sitting room. 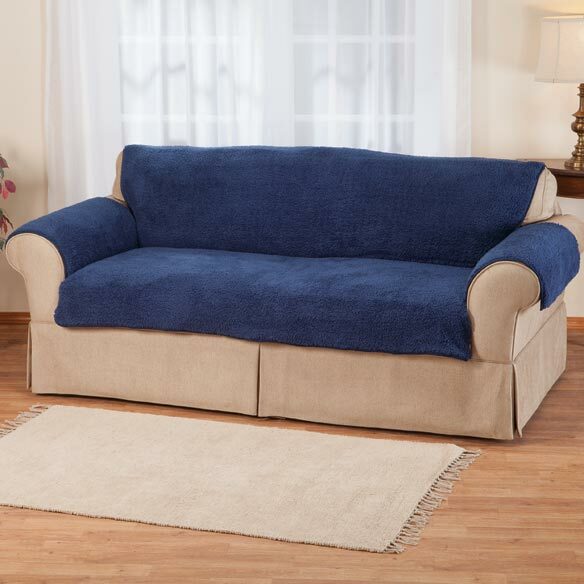 A washable cover for you sofa is a great way to help it stay clean. It also looks nice.